Personal Loans – In financial crisis we generally rely on friends and relatives. However, if friends and relatives are unable to fulfill our monetary requirement one of the best options left with us is a personal loan. Personal loans are provided by banks or financial institutions. You can avail personal loan to fulfill your instant money requirements for any purpose. Personal loans are one of the most popular loan options as it is easy to avail and does not require much documentation. Once you have made up your mind to avail the personal loan, the next challenging task for you is to find out the best personal loan. It is quite confusing to find out a best personal loan as you will find multiple lenders with lucrative offers in the market. Any laps in evaluating a personal loan will surely cost you more money. So, today let’s discuss about important points to consider while availing a personal loan. Interest rate – The most important factor while selecting best personal loan is the interest rate. You should opt for a personal loan with lowest interest rate. By this, you can save a lot of money on the EMI. Personal Loans are generally offered in the range of 12 -20% interest rate. Type of Interest rate – The next factor you should consider before opting for personal loan is type of interest rate fixed or floating. If you are planning to repay a loan in a short time you should go for floating rate option. In addition to this also check charges applicable for switching between fixed to floating and vice versa. Processing Charges – Processing charges is next factor in the checklist. Bank also impose processing charges for the loan application. You need to pay onetime lump sum charges for processing your loan application. This charge is in the range of 1-3% of the loan amount. Prepayment Penalty – The next factor in while making a selection of personal loan is a prepayment penalty. Prepayment of loan helps us in reducing the EMI burden and we can close the loan faster. However, it is observed that few banks do not allow prepayment in a personal loan or they charge a heavy penalty for the prepayment of the personal loan. So, it is better to check prepayment penalty before taking personal loan. Other Hidden Charges – Apart from interest rate few other hidden charges makes personal loan costly. Some hidden charges applied on personal loans are documentation charges, duplicate statement, ECS processing and account foreclosure charges. So, make sure to consider all hidden charges before taking a personal loan. EMI Bounce Charges – If you default on EMI penalty is applicable to you. You should consider this charge while making a selection of the personal loan. Tenure – Tenure of personal loan is another important factor in deciding personal loan. Personal loans are generally approved for 12 to 60 month time period. Approval Time – Approval time is time taken by the bank for processing and approving your loan. It is a less critical factor for deciding personal loan. This factor makes sense if you are in urgent need of money. Best Personal Loan Comparison details are given below. Only Interest rate, processing charge and prepayment penalty are taken here for the comparison. Before taking a personal loan make sure that your need is unavoidable and can be fulfilled by only personal loan. Because higher interest rate of personal loan will put you in great financial pressure. Ask following question to yourself before taking a personal loan. Is it possible to get the money from somewhere else like friends, relative or part time job? 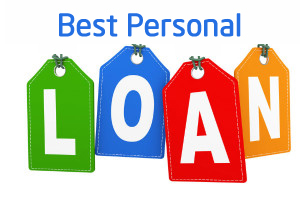 If you still decide to take the personal loan make sure to compare all the relevant features of personal loan. Peer to Peer Lending platform also keep certain evaluation criterion.This crieria are lose compare to bank.